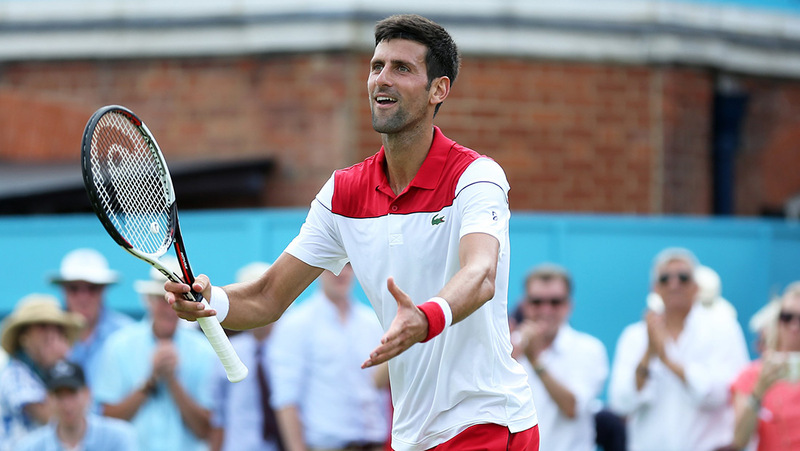 Former world no.1 Novak Djokovic, a runner-up at The Queen’s Club in 2008, recorded a comprehensive 6-4, 6-1 victory over second seed Grigor Dimitrov in 66 minutes on Thursday. The Serbian star is now 7-1 against the Bulgarian in their ATP Head2Head series. Djokovic made a break in the 10th game to clinch a 35-minute opener. The 31-year-old Belgrade native continued his momentum in the second set by breaking in the fourth and sixth games and served it out on his fourth match point to advance. Match statistics: aces (3-8), double faults (4-5), winners (8-14), unforced errors (12-26), total points won (61-39). For a place in the Fever-Tree Championships last four, Novak will face Adrian Mannarino (FRA, ATP #26) who beat compatriot Julien Benneteau in straight sets.